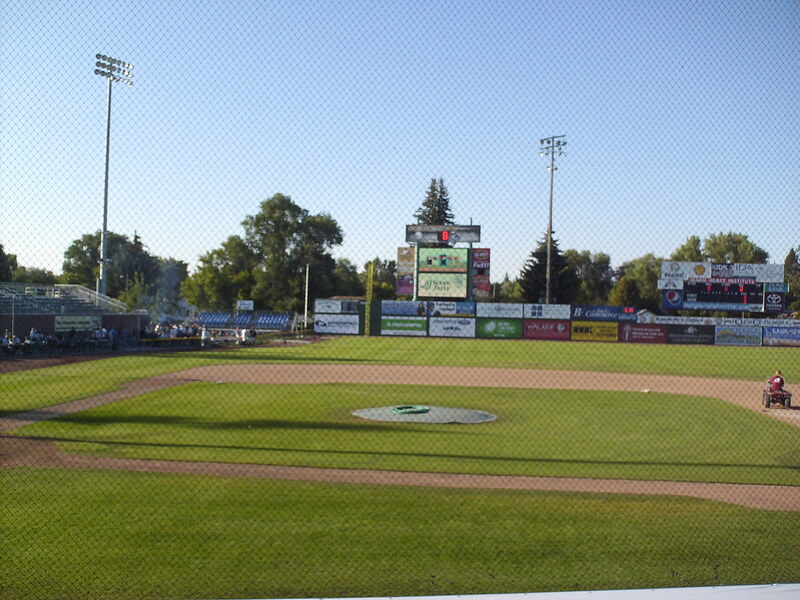 The view from behind home plate at Melaleuca Field. 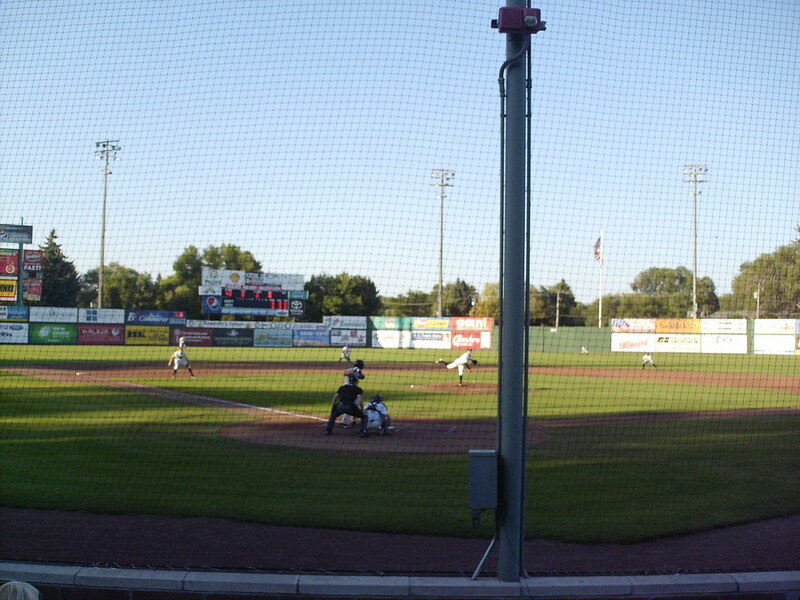 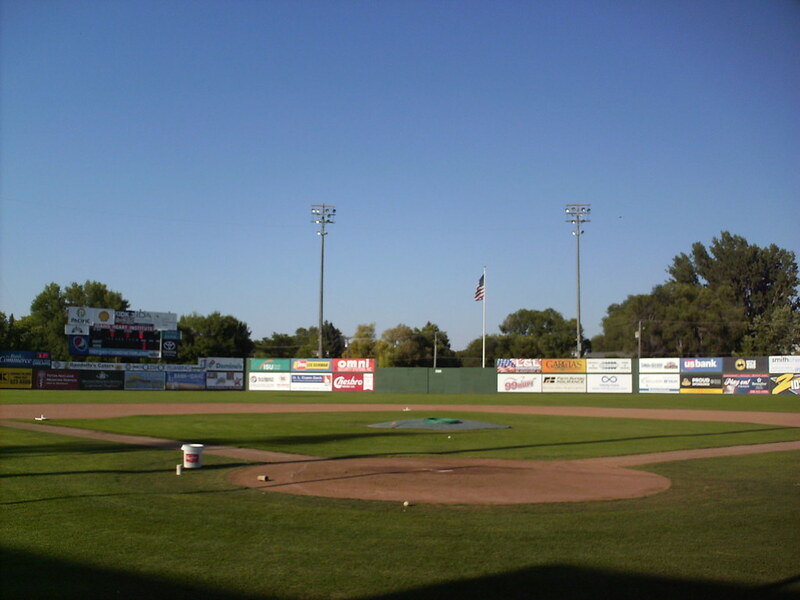 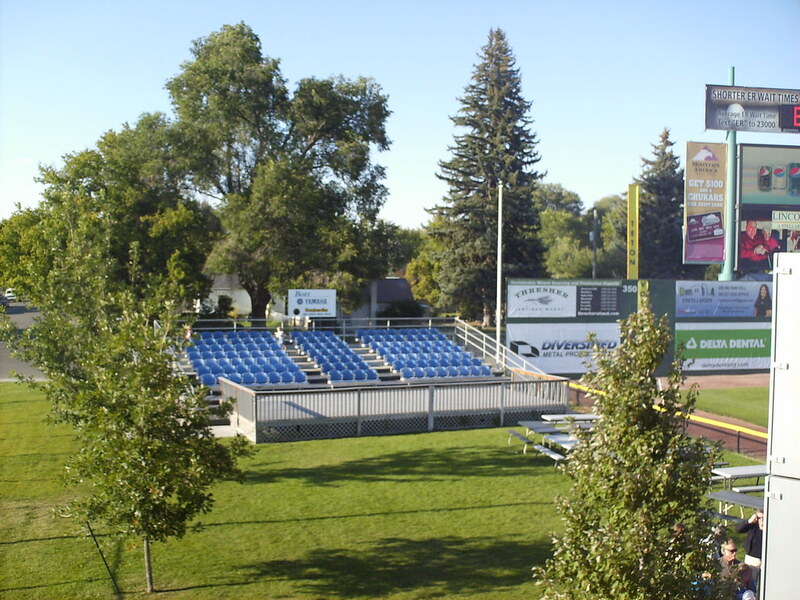 The grandstand at Melaleuca Field, as seen from the left field corner. 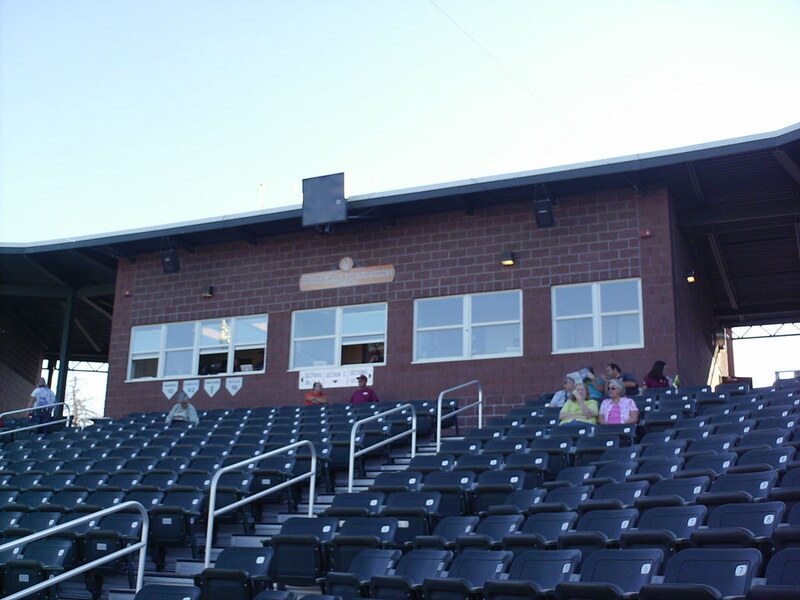 The pressbox, under the roof at the top of the grandstand. 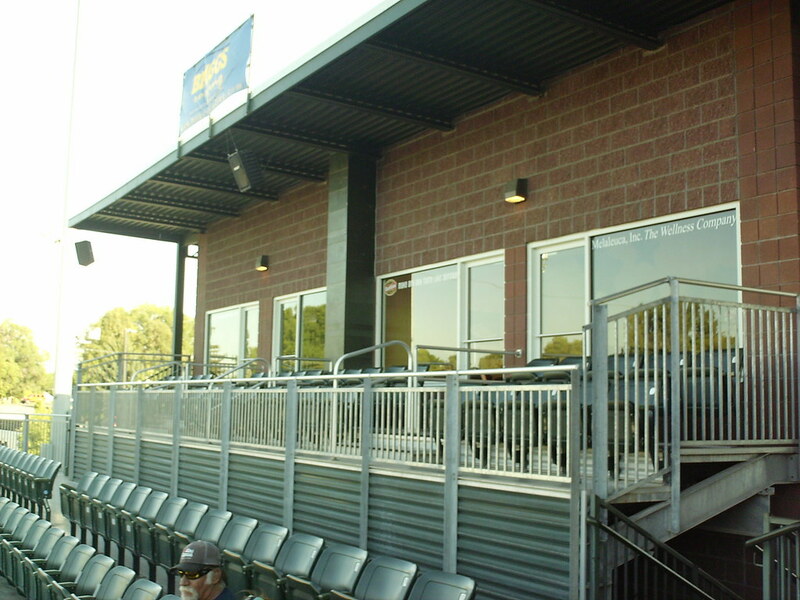 Luxury suites sit on either side of the pressbox at the top of the seating bowl. 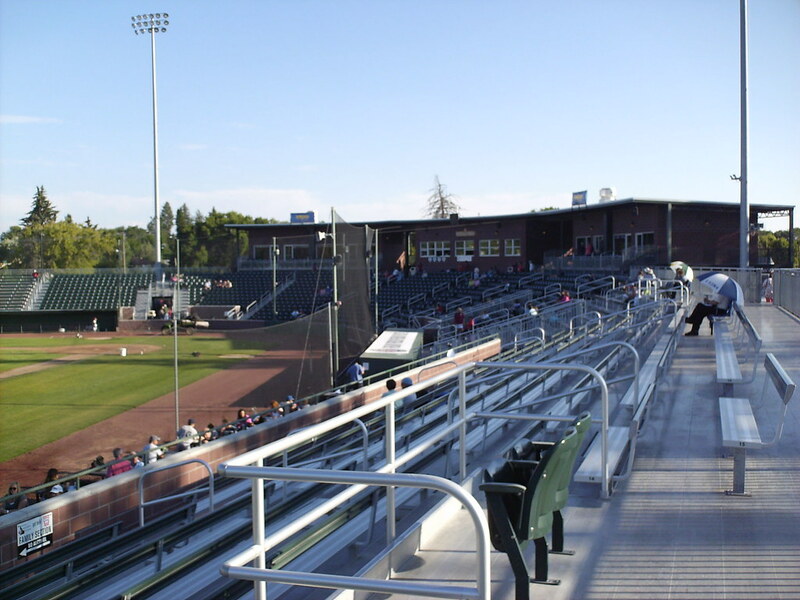 The grandstand at Melaleuca Field features mostly fold down seats, with aluminum bleachers at either end. 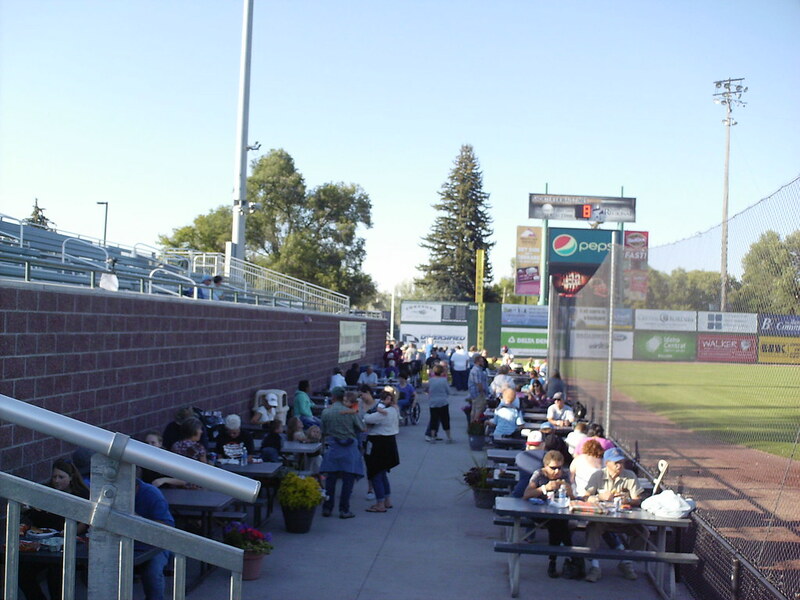 Picnic tables sit at field level beneath the third base side bleachers. 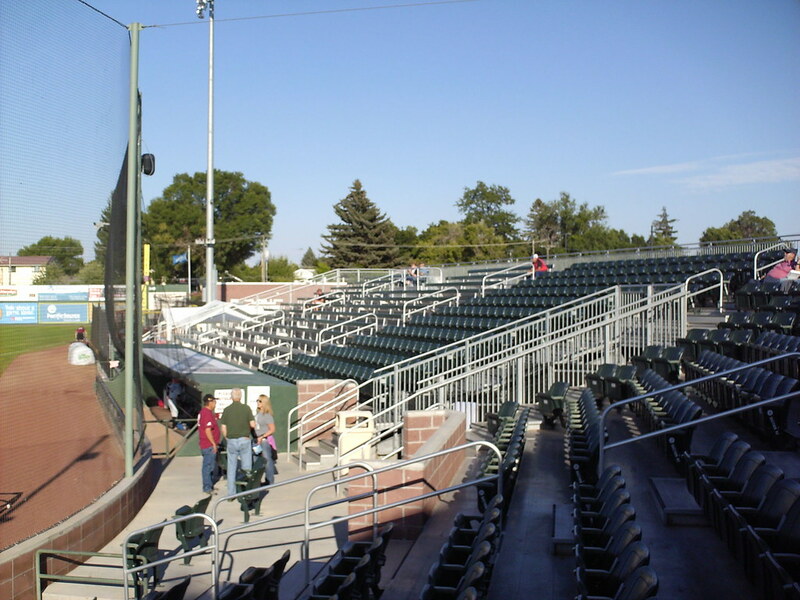 A small outfield seating section sits beside the foul pole in left field. 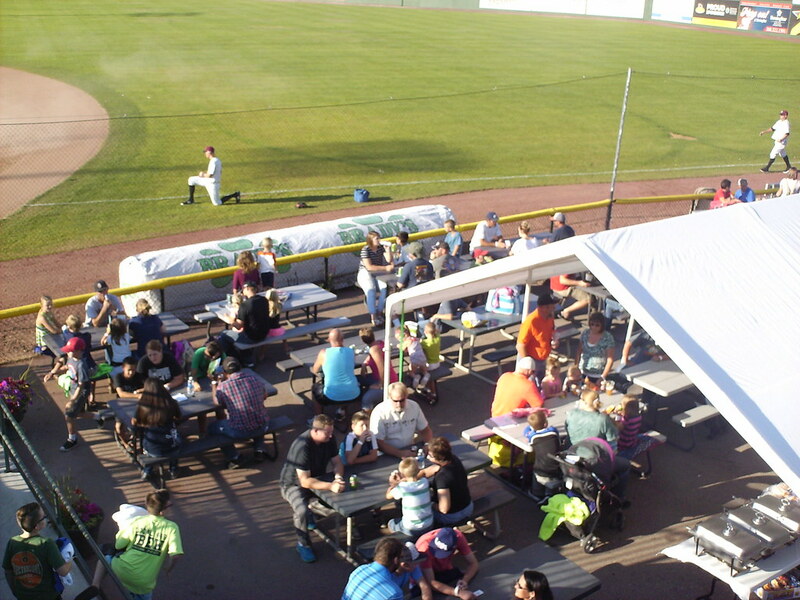 A party tent and group picnic area sits down the right field line. 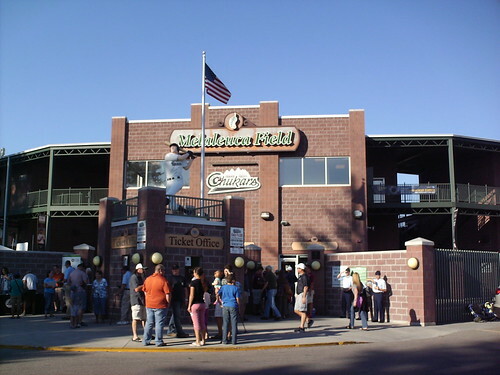 The main concourse at Melaleuca Field, running behind the grandstand. 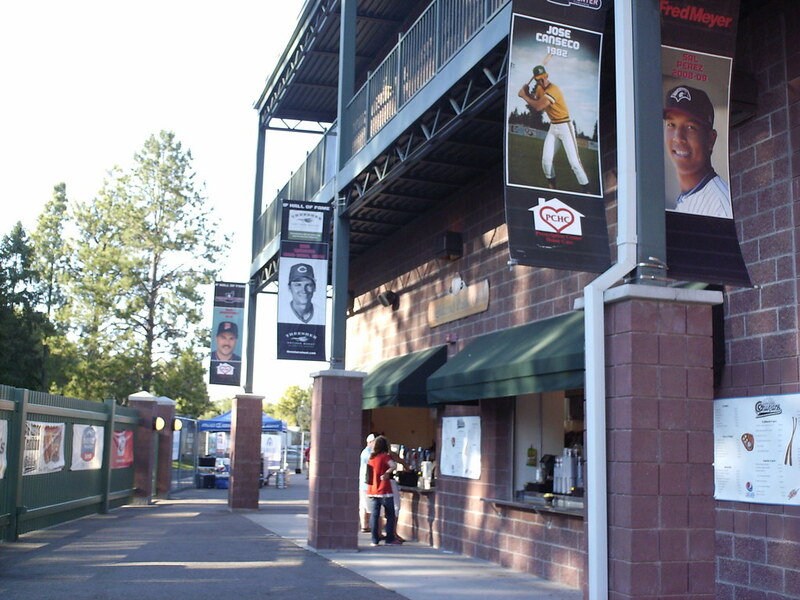 Banners on the support poles celebrate former major league players who played in Idaho Falls. 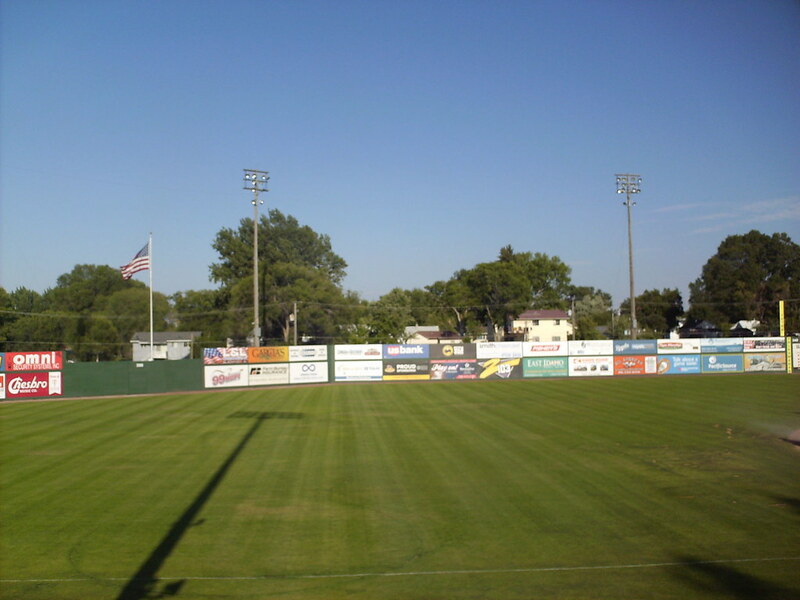 Neighborhood houses peek over the tall wooden outfield wall. 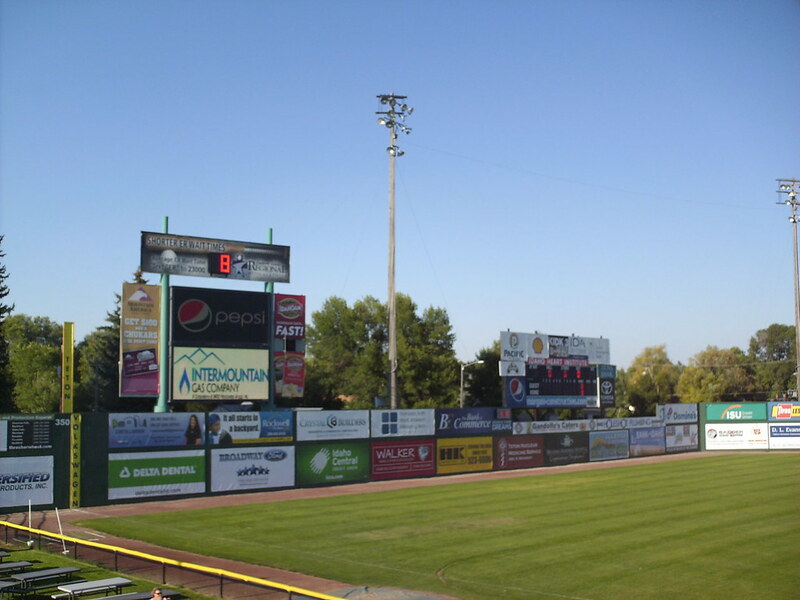 The video board sits in the left field corner, with a smaller line scoreboard beside it. 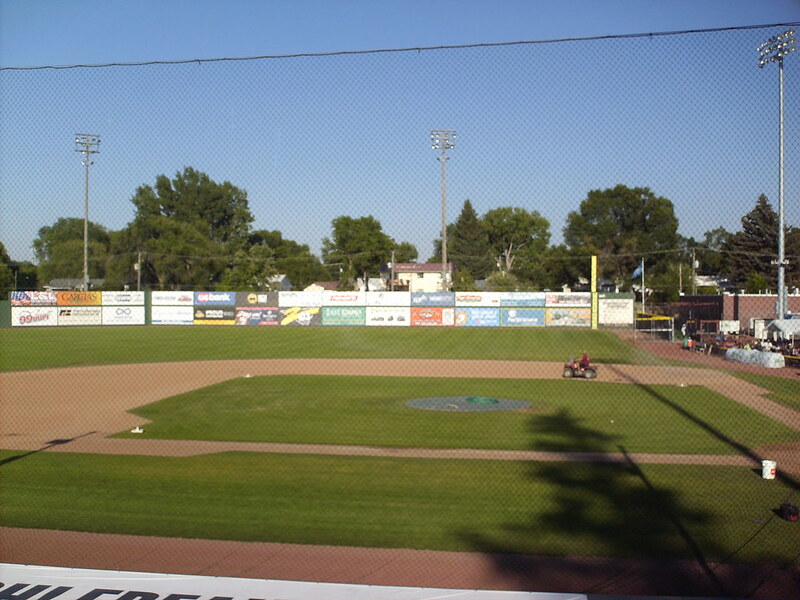 The Idaho Falls Chukars on the field during a game at Melaleuca Field.